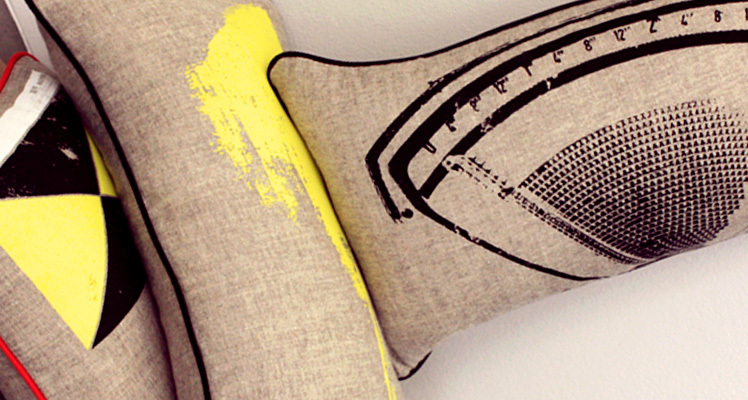 FK chats to Dora one half of design label, Printsmith. The duo bring together an appreciation of old world techniques in the creation of beautiful and unique products! Tell us a bit about Printsmith and what products we can expect to discover? 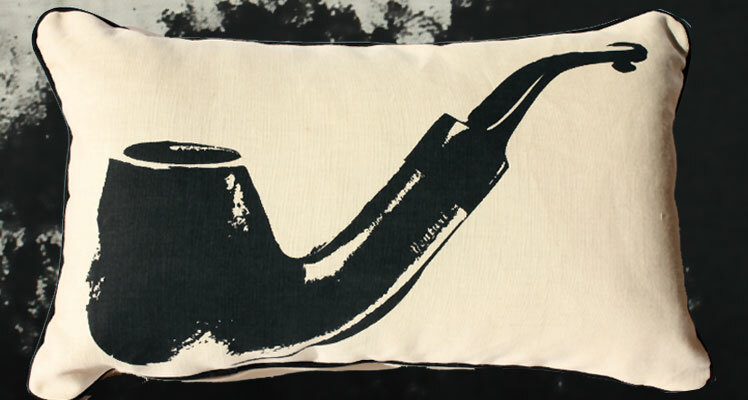 Everything ‘Printsmith’ is designed and created by two designers in Sydney. 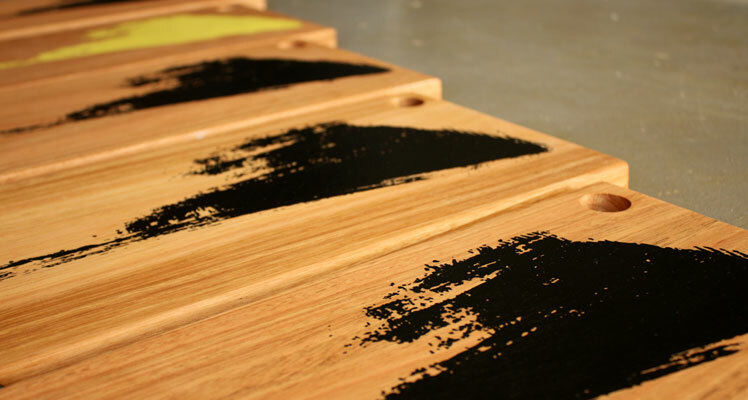 The theme of all Printsmith objects is the use of various screenprinting techniques, typically on wood and natural textile fibers. We’re always looking for character when working with prints and our design process works to age and stress designs to the point of imperfection. 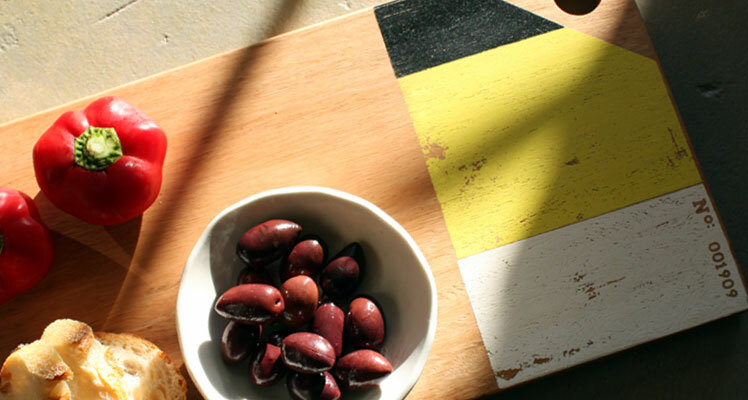 The objects we create are made for interior spaces: from serving boards with a visual point of difference, to cushions with a bit of camp influence, posters that celebrate bygone objects, the faithful tea towel, and even bookends which mix wood with concrete. There is an obvious respect for industrial objects of old which are the subject of many of our designs but we’re also strongly influenced by patterns, shapes and textures from all around the globe. As is usually the case with creatives we both had a history of seeking out all sorts of creative disciplines and hoarded techniques from a wide variety of fields such as textile design, industrial design, product experience, wood crafting, digital media and film. When we discovered that our spare time was mostly spent travelling to various sales for screen, screen products, wood, reclaimed wood, textiles, it became apparent that we were both equally enthused by print and objects. We spent a number of years experimenting and cogitating before starting to evolve a range of objects. That process of evolution continues today. What’s not to be inspired by? Our inspiration come from all old corners of the world. We have an appreciation for timeworn techniques and harbour a desire to create individual products that include these techniques in the creative process. Like our products, we have a respect for objects that are built to last and are influenced by iconic products and designs. By extension this leads us to continually learning more and more about art movements that have lended influence to objects in certain periods and vice versa. Within that exploration, we’re also attracted to the visual effects of nature, the tactility of textures, the play of colour and past and present design. It’s the continual cycle of learning and discovery that motivates us creatively. Let’s be honest – it’s a mess. We have a unique space that seems to perpetually attract tools and materials. 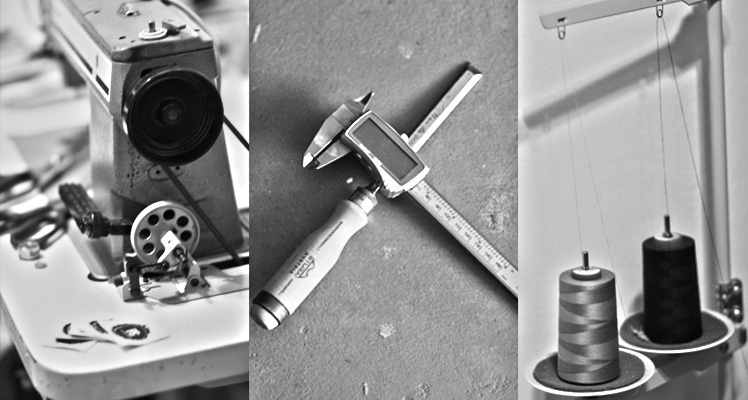 It’s our workshop, our execution space and our experimentation space all in one. There are plenty of scrap pieces of paper lying around it, that have quickly sketched ideas that can sometimes be deciphered! Those sketches can also be found around our house, jean pockets, at the bottom of bags… they’re everywhere. One of the most inspiring things about the space is coming across a discarded piece of something you did a few years ago and seeing it with new eyes. It gives you a sense that there is always potential in things. Sometimes ideas take a little time to mature. 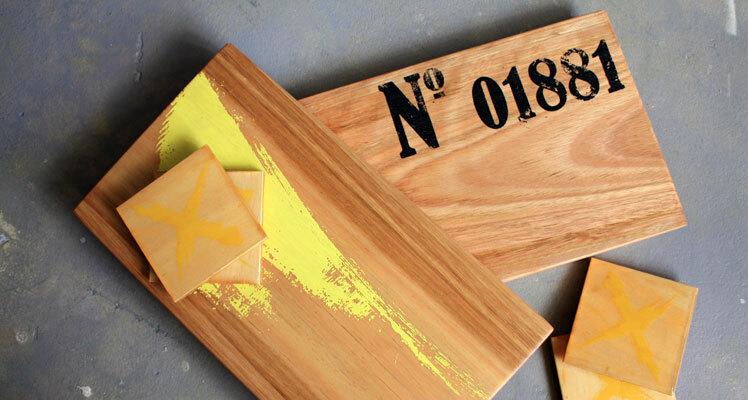 What do you love about working with recycled timber? And what are some of the challenges? We started out working with recycled timber but obviously consistent supply and quality is a challenge. We still use recycled timber for limited run products but mainly use offcuts of locally sourced Australian hardwood timbers. The good thing about it for us is that because our product runs are small, we are able to adapt our designs to the various conditions the timber is in. It’s our way of respecting the timber first and making our designs work in with what it naturally offers. It’s the character and warmth of timber that continues to appeal to us – it makes every piece slightly different and unique. What new projects are you working on and where would you like to see Printsmith in the future? We finished 2013 quietly excited by a few experiments we had been playing with through the past few months that have finally come to fruition. Our recent mixing of timber and concrete has appealed to us greatly and we are continuing to explore the application of this fusion of material. We have also been working with minimalistic concepts which has brought us to a new range of prints we’ll be releasing in the first quarter of 2014. We would love the opportunity to work with interior designers on objects for a café/retail/restaurant space so here’s to hoping 2014 will bring that opportunity about.